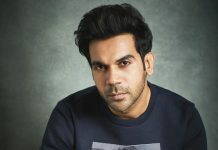 India’s #MeToo movement, which became a talking point lately with many women calling out their perpetrators, had stalled the shoot of many ongoing projects, with Fox Star Studios’ Kizie Aur Manny being one of them, as a struggling actress had accused its director Mukesh Chabbra of sexual misconduct. Soon after the allegations came to light, Fox Star Studios acted promptly and suspended Chabbra, who was psyched up about making his directorial debut with the movie, starring Sushant Singh Rajput and Sanjana Sanghi in lead roles. 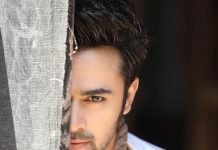 However, the latest we hear that the production house did not find any pieces of evidence against Mukesh Chabbra in the investigation conducted independently by the Internal Complaints Committee of M/s Mukesh Chhabra Casting Company. Since ICC does not have any evidence which proves that casting director-turned-filmmaker Chabbra tried to outrage the modesty of the struggling actress, he will continue as the director of Kizie Aur Manny. The team is expected to resume the shoot soon. For the uninitiated, Kizie Aur Manny is an official remake of Hollywood romantic tragicomedy The Fault In Our Stars (2014).